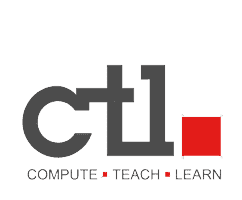 CTL White Glove is a resource saver for every school. No need to staff up or work extra hours to provision Chromebooks. Click Device management > Chrome > User Settings. Select the organizational unit to which you want the settings to apply. Configure the settings on the page. Click Save changes at the bottom of the screen. Settings typically take effect within minutes but might take up to an hour to propagate through your organization. Selecting Keep Chrome device in current location means that when you enroll the Chrome device, it will stay in the top-level organization for your domain and will pull device settings from there accordingly. Selecting Place Chrome device in user organization means that when you enroll the Chrome device, the device will be placed in the organizational unit that the enrolling user is in. The settings you've applied for that user's organizational unit will be applied to the device. Place Chrome device in user organization is a useful setting if you need to manually enroll many devices. The device settings unique to the user's organizational unit will be automatically added to the device, instead of requiring an additional step of manually moving each device into a specific organizational unit after enrollment. Note: This policy will only take effect if the device is being enrolled into the domain for the first time or the device is in a pending state after previously being deprovisioned.